Autumn has arrived with a bang, 51mm of rain fell over last weekend. With the monthly average only 59mm, that was virtually our monthly amount in two days. As luck would have it, last week we had micro-tined, Air2G2, Verti-Drained and top dressed the greens. Therefore, the rain was most welcome as far as i am concerned. Since the weekend however, the weather has been glorious. I am sure you all know where the picture below was taken this morning ! 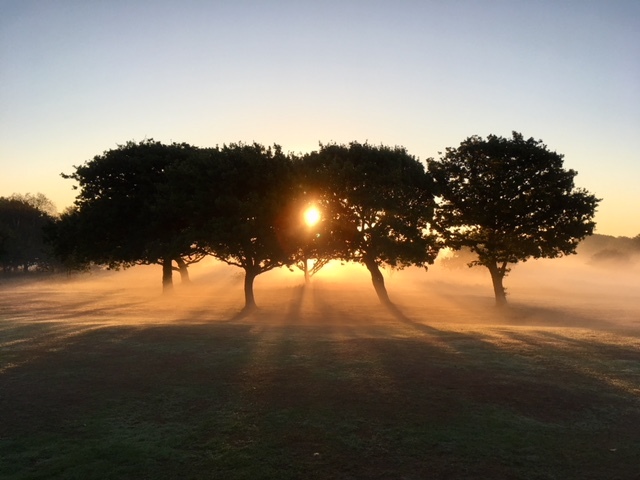 This is a beautiful time of year and i urge you all, to have an early morning round of golf and take in the Autumnal splendour.